Four days. Ten stations. Over 400 km from home… Last August 26-29, The Foodie Station travelled all the way to Bicol to bring you the best of Ibalon cuisine. Join us in our unforgettable culinary journey in the spiciest region of the Philippines! Bigg’s Goto and Tokwa’t Baboy are the perfect cure for a broken heart (or just a bangin’ Friday night hangover!) 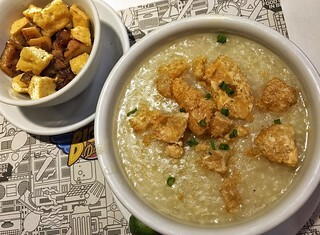 So good we dug into this bowl of hot garlicky and gingery congee topped with crunchy pork chicharon until we’re scraping the very bottom! 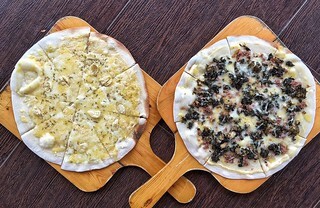 CWC not only hosts international wakeboard competitions, it’s also home to one of the best Bicolano (Laing) pizza in the region! The taro leaves are cooked in coconut milk and chili placed on top of melted mozzarella cheese on a thin-crust pizza! You may want to pair your pizza with their refreshing grape shake! Halo-Halo is a popular Filipino dessert of mixed shaved ice and evaporated milk to which various ingredients are added. 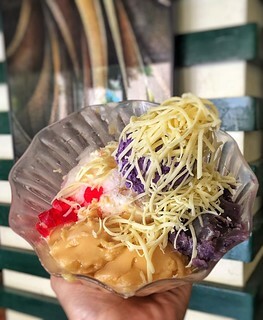 Djc Halo-Halo is truly one of Bicol’s pride with it’s concoction of saba (sweetened banana), UBE jam (purple yam), leche flan, corn, and red gulaman topped with a generous pouring of evaporated milk, a scoop of Ube ice cream, AND….shredded cheddar cheese!! The grated cheese elevated the usual Halo-Halo experience to a WHOLE NEW LEVEL as the fusion of sweet and salty ingredients makes it unique and delectable to taste! Never leave Bicol without trying it or you will definitely miss helluva lot! 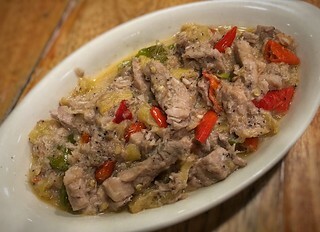 Bicol express is a spicy delicacy that was named after a train line that connected Manila to Naga. This Bicolano dish is made from pork strips stewed in gata (coconut milk) with bagoong (shrimp paste), onions, garlic, and lots of chilies. 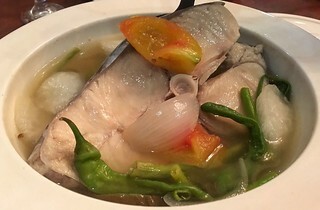 The true origin of this famous dish is still a hot topic as many say that the first bicol express was served in Manila for those who could not endure the spiciness of the laing (another spicy Bicolano dish). For us though, what’s more important is the rich indisputable Filipino history and culture swallowed with every bite. We loved Bob Marlin’s Bicol Express and we cannot wait to come back for more! 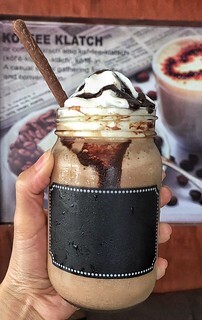 Our Bicol adventure turned from spicy to sweet with this pure creamy and chocolatey Mocha Frappe goodness! 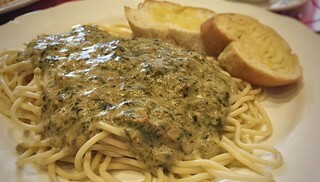 We love Pinangat and we definitely love pasta.. so when we saw Pasta Pinangat on the menu, we ordered it right away!!! 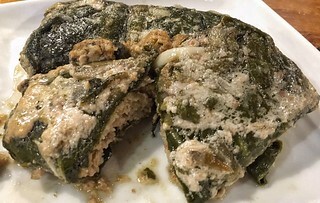 Pinangat is a Filipino dish that is most commonly prepared with meat, chili, and coconut milk wrapped or stuffed with taro leaves. Taro leaves are the defining feature of the dish and may also be referred to as gabi/natong leaves. If you’re a pasta lover and you want to eat something new for a change, order this and tell us what you think! This quaint house-turned-into-restaurant is known as one of the best (if not the best) in the Bicol region. And we all now know why. One of our favorites was their Sinigang, a hearty, sour soup dish traditionally cooked with real tamarind. Balay sa Bikol hit the asim level (sourness) right on the spot, the most important ingredient many restaurants miss. We all left the place satisfied, faces beaming with priceless mukhasim smiles!!! If you’re a coffee lover, a sweet-tooth or always on the lookout to chill then this is the spot for you! 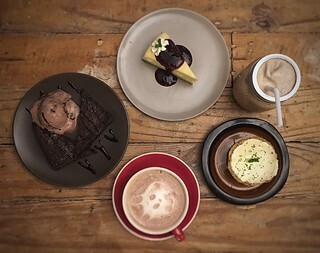 528 Ilawod or Ilawod serves single origin coffee, specialty pastries, delectable hot meals and a lot more! You wouldn’t want to miss their YEMA and KALAMANSI tarts. These treats were so good we bought all stocks left for pasalubong and, of course, for personal consumption! Biking around Legazpi Boulevard was fun, but for titos and titas like us, it can be pretty exhausting. Haha! Good thing Zoe’s Kitchen was just nearby! 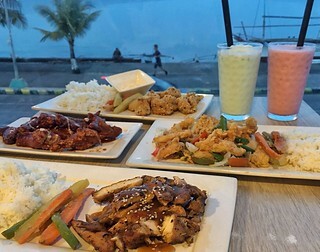 It has a splendid view of the sea, a relaxing ambience, and as many would say, HALF MORE than the average serving of food! 2) Make sure you try their milkshakes! It is served with popping yogurt balls (somehow similar to a sago but way, way better) that pop so heavenly in your mouth! 3) Enjoy the view, take a pic of your food (don’t forget to use #TheFoodieStation), and enjoy the rest of the day! We just had to go back! Couldn’t get enough of Balay Sa Bikol’s Pinangat that a second trip had to be arranged! By now, we all know that Bicol is the land of gata (coconut milk) and the Pinangat, a dish that combines chili, meat, gabi (taro), and the famous gata, was without a doubt the group’s favorite! 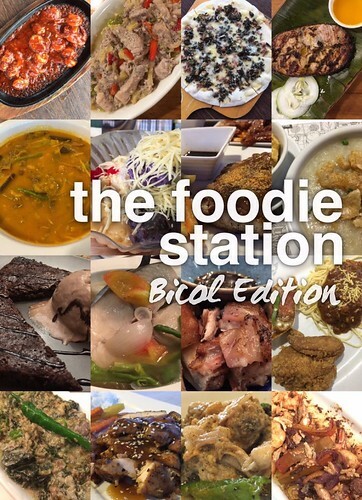 Of course, we were saving the best for The Foodie Station Bicol Edition’s last post! Until our next visit, Bicol! Thank you for making our bellies fatter and our faces rounder! Behind the scenes photos HERE!